Catherine Madsen is Bibliographer at the National Yiddish Book Center and the author of a new book, "The Bones Reassemble: Reconstituting Liturgical Speech"
Joel Bresler is on a mission to track down all commercially recorded Judeo-Spanish songs. He collects every version of every song; he'll buy any record, tape, or CD that includes even one Sephardic selection. He has 8,000 sample clips of Sephardic songs ready to post on the Web and is working on a book. His wife, Judith Osher, would rather we didn't call him obsessed. But that's his own adjective. Bresler has been collecting for nearly 30 years. He first encountered Sephardic music in the "mesmerizing" Ladino songs that entered the early music repertoire in the mid-1970s, and his interest soon expanded to include all Sephardic commercial recordings. The story of this music is a complicated mix of tradition and innovation, folk transmission and commercial adaptation, and shifting cultural and aesthetic expectations. Bresler's research provides a fascinating picture of this complex history. Judeo-Spanish, or Ladino, is the "everyday" language of the Sephardim (in the original sense of the exiled Spanish Jews who settled around the Mediterranean after the 1492 expulsion). It has certain structural and functional similarities to Yiddish: it is the language of home and family, as distinct from the local language of commerce and from Hebrew, the sacred tongue; its grammar and vocabulary are based in Spanish just as Yiddish is based in Middle High German (with a heavy admixture of Hebrew words and loan words from local languages, Turkish playing much the same role in Ladino as Polish and Russian do in Yiddish). Both languages have suffered a steep decline in native speakers, and both are attracting the interest of a new generation of scholars and younger speakers. Musicologist Curt Sachs once defined Jewish music as music made "by Jews, for Jews, as Jews." Adapting this definition, Bresler says the earliest Sephardic records were made by Sephardim, for Sephardim, as Sephardim. The vocalists, the audience, and the repertoire were rooted firmly in Sephardic culture; the songs had generally been passed down through oral tradition; the performance styles had evolved in a cohesive, though not insular, community. The recordings were virtually unknown outside of Sephardic circles. The first Sephardic recordings were made in Constantinople in 1906 or 1907. Essentially they were made because it wasn't easy to sell gramophones in the Mediterranean and the Middle East. Turntable manufacturers eventually realized that the problem was with the recordings they had on offer: recorded music of the time consisted largely of Gilbert and Sullivan and other Western European hits, which did not tempt prospective customers in Greece, Turkey, and environs. The result was a monumental series of expeditions to record local talent, with rival record companies vying for a share of the market. Among the many Arabic, Greek, and Turkish songs recorded in these early years were around a hundred Sephardic recordings; most were in Ladino, a few in Hebrew. At this point the story begins to get musically interesting. Commercial presentation caused changes in performance style and even in repertoire, as the new medium influenced the content of the recordings. A 78-rpm record played for roughly three minutes; the short format encouraged the recording of lyric and topical songs rather than long ballads. Sephardic vocalists often sang Greek and Turkish songs as well and worked with both Jewish and non-Jewish accompanists; when they recorded Sephardic songs they generally introduced instrumentation and rhythm (the "a la Turka" or Turkish style) to what had been largely an a cappella and unlettered singing tradition. Traditional vocal styles are microtonal, nasal, with a tremolo quite unlike the Western vibrato; by the LP era, most recording artists broke with this tradition and adopted the Western European art-song ("a la Franka" or French) style. Shifts like this are part of musical evolution. Cultural fusion is a fact of life among music-makers—a corollary to Nadia Boulanger's dictum that to study music we must learn the rules and to make music we must forget them. Musicians are naturally curious, and even when trained in a deliberately circumscribed classical style are often unable to resist a good riff from another tradition; what we think of as the classic Ashkenazic sound, for example, is ultimately traceable to a Turkish musical mode. Sephardic musical culture enjoyed a relaxed interchange with its near neighbors, as is usual between communities that are not self-conscious about cultural purity. The shorter songs thrived in the new conditions; the long ballads remained to be rediscovered decades later by folk and early music performers. Sephardic music is not, strictly speaking, "early." While some Ladino and Hebrew texts can be traced to medieval Spain, none of the tunes can; one song, "Adio kerida," actually derives from a Verdi aria. The first recordings of Sephardic tradition-bearers sound nothing like more recent recordings, which filter Sephardic texts and melody lines through an early music performance style that actually evolved in the mid-twentieth century. What we take nowadays for the authentic Sephardic sound is really a modern innovation. Much of medieval and Renaissance musical practice must be reconstructed from verbal description, since musical notation during those centuries was sometimes inadequate to its task. (Often it was casually treated by the musicians as no more than a sketch for intricate improvisations that would be against a performer's principles to write down.) Early music performance style, even for the better-known songs of the troubadours and trouvères, involved a good deal of guesswork and some daring swipes from Middle Eastern instrumental practice. Scholar-performers like Thomas Binkley, Andrea von Ramm, and Joel Cohen did more than revive an obscure body of written music; they reconstructed its cross-cultural influences to suggest how the original performers might have played it. It is a tribute to their impeccable scholarship and powerful musical imagination that the reconstructions sound so convincing. Record collectors look at things rather differently than ethnomusicologists. Their interest is as much in the history of the artifact as in the sound of the music. The evolution of recorded sound—from wax cylinders to 78s, LPs, cassettes, CDs, and most recently downloads—is as exciting to a collector as modal scales to a student of folk music. Collectors of old 78s use the matrix numbers etched into the record, between the last few grooves near the label, to discover where and when the record was made, the nature of the material, and sometimes even the recording engineer. The same matrix numbers were recorded in the studio's logbook and were chiefly intended for the employees of the company, like a message written by a carpenter on a beam where only another carpenter will ever see it. The collector who learns to decipher them is doing a kind of archaeology. While the recording and marketing of the first Sephardic records were done in Turkey, the manufacturing was often done in Germany or England. The records were typically produced in small runs and not widely distributed. Surviving copies are scarce, and collections are often small—indeed, Bresler has found no collection of Sephardic 78s, public or private, consisting of more than 40 different recordings. (By contrast, large collections of Yiddish 78s run in the thousands, and one expert, Mike Aylward, estimates that around 14,500 different recordings were made, not counting cantorial and instrumental selections.) The time frame of the first Sephardic recordings was quite narrow, from 1906 to 1914: the First World War slowed the industry down considerably as materials were needed for military uses. Though the 1920s saw a recording boom among other ethnic musics of the eastern Mediterranean, Sephardic recorded music did not recover. A very small number of records were issued in New York and a few in Europe during that period; subsequently almost all Sephardic titles issued in Europe were re-releases. In the 1930s the Depression, together with the emergence of radio and the "talkies," caused a steep decline in consumption of recorded music. 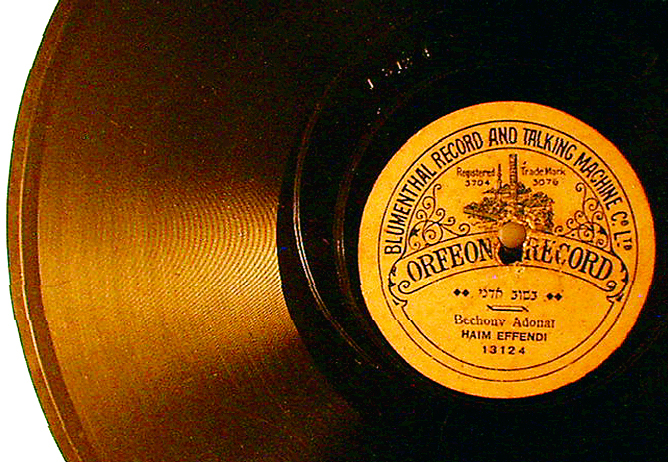 In the 1940s several small independent labels in the U. S. produced the only Sephardic recordings of that decade, and in the 1950s—the beginning of the "long playing" 33 1/3 disc era—the last Sephardic 78-rpm liturgical recordings were issued in New York, sung by Dr. David de Sola Pool of Congregation Shearith Israel. 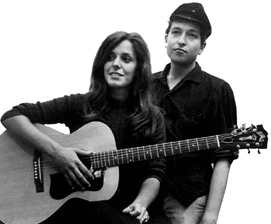 The American folk scene discovered Sephardic music in the 1960s; the most mainstream example was Carolyn Hester's recording of the love song "Los Bilbilicos" (with the title, a Turkish loan word for "nightingales," misspelled in the liner notes) on a 1962 album that featured Bob Dylan on harmonica. The early music repertoire began to include Ladino ballads in the 70s, and by the 80s Voice of the Turtle and other early music performers were bringing the songs to a popular Jewish audience. More recently the rise of "world music" has given the Sephardic repertoire an even wider currency. At present there is a boom in Israeli recordings of Sephardic traditional, popular, and liturgical music. Bresler's database can be sorted by decade, showing the exponential growth of recorded Sephardic songs, and recent samples of the music reveal new stylistic fusions. 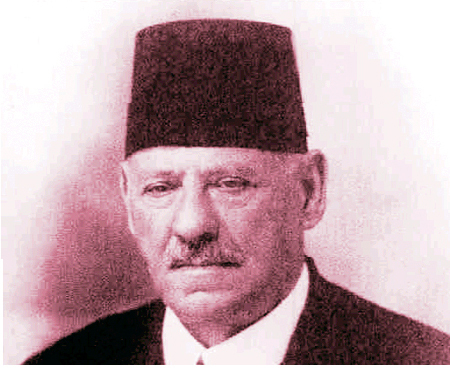 One counting song, "A la una," spans the entire life of recorded Sephardic music in 96 different versions, from Haim Effendi's 1907 recording to a version last year by the French singer Françoise Atlan. Like many of the best things in life, historic Sephardic recordings have no commercial potential. But there is every cultural reason to ensure their preservation and give better access to the music. As the hundredth year of Sephardic recording approaches, Bresler is preparing to bring up his Web site, tracking down and digitizing the remaining Sephardic 78s, and seeking funding to complete a comprehensive, book-length discography with an accompanying CD-ROM of over a thousand song samples. His work could serve as a pilot project for the digital preservation of other musics: Sephardic music is a fairly small and contained body of music, but think of Balkan, Celtic, and indeed Yiddish music, and the potential becomes clear. As has sometimes happened before in the recording world, one man's obsession may be the whole world's gain. This article draws on Joel Bresler's unpublished talk, "The First Half-Century of Recorded Sephardic Music," presented at the London International Jewish Music Conference, in June 2000. Readers may email Joel Bresler for a copy. Also, if you are interested in helping to collect old and new Sephardic recordings, please be in touch at the same address. These songs were collected by ethnomusicologist Isaac Levy, the first two from traditional singers and the third from a decidedly nontraditional one. No international standard has been established for Ladino orthography, so spellings will vary slightly. With little words of love. Ke las tengo malas de tanto bailar. Me se alegra al korason. They hurt From so much dancing. Copyright © 2005 Catherine Madsen. All rights reserved. Used with Permission. This page is maintained by Ari Davidow. Send me E-mail with any comments or suggestions. All rights reserved. Last revised 22 February, 2006.